Happy Thanksgiving everyone. From Gildshire’s family to yours we hope this, the real beginning of the Holiday season, finds you healthy, happy and surrounded by loved ones. Remember that there are lonely people amongst us, so share some of your bounties with them. College football is our focus today, since the NCAA season is coming to a head, and there isn’t a single NFL game on the slate between two teams with winning records. Do you want parity? That’s parity! Anyway, these are the biggest games of the weekend as selected by the Gildshire Sports Spotlight Board of Governors. All times eastern. Boomer Sooner needs a big one in Morgantown. Oklahoma Sooners @ West Virginia Mountaineers from Milan Puskar Stadium in Morgantown. Game time, Friday, 8 pm. The Big Twelve may not get an entry into the college football playoff, but the Sooners are going to fight to the end to get there. Ranked 6th in the latest poll, Oklahoma is going to need some mayhem to happen in front of them to make the final four field. But, isn’t mayhem a college football tradition this time of year? Two-sport star Kyler Murray (already signed to a professional baseball contract by the Oakland A’s) leads his Sooners into Morgantown to face the 13th ranked Mountaineers and their star QB, Will Grier. Oklahoma is a 2.5 point favorite. We think the Mountaineers will give the Sooners all they want in front of the home crowd. The Sports Spotlight will take the points and not be surprised if West Virginia springs the upset. ESPN televises this game nationally. The Cougars hope to own the State of Washington after this weekend’s Sports Spotlight Game of the Week. Washington Huskies @ Washington State Cougars from Martin Stadium in Pullman. Game time, Friday, 8 pm. Sports Spotlight Game of the Week. Up in the Pacific Northwest, they call this one the Apple Cup, and it has been dominated over the years by the purple-clad Huskies from Seattle. But, something special is brewing in the part of eastern Washington they call The Palouse. Head Coach Mike Leach’s WSU Cougars are ranked 8th in the nation and think they too might make the final four field if, you guessed it, mayhem and chaos take place up top. However, national championship aspirations aside, WSU just wants to beat the stuffing out of the brother who has held them down and given them a Purple Nurple forever. Washington State is a 2.5 point favorite and we believe they will cover that number. Fox televises this game nationally. Could this be the year Jim Harbaugh’s Wolverines take down OSU? Michigan Wolverines @ Ohio State Buckeyes from Ohio Stadium in Columbus. Game time, Saturday noon. This is another game where the team that has been beaten lately in the series is the higher ranked team going into the rivalry game. When Michigan Head Coach Jim Harbaugh took the job in Ann Arbor his tasks were clear. Beat Ohio State, and win Big Ten titles. So far his record at those two tasks has not been great, but Ohio State is showing a vulnerability it hasn’t in the past. The Wolverines are a 4.5 point pick. Once again, we say lay the points and take the chalk to the winner’s window. Fox televises this game nationally. The tiger is ready, but are the Tigers? LSU Tigers @ Texas A&M Aggies from Kyle Field in College Station. Game time, Saturday 7:30 pm. That the Tigers are ranked 7th at this point isn’t a surprise. LSU is an elite program. Texas A&M ranked 22nd, though, is a bit of a surprise. In the midst of a four-loss season so far, the Aggies struggled early and have come on late. That resume’ for the lower -ranked team can be trouble for the higher-ranked team. The Tigers are another team looking for help to get into the playoffs, (truly there isn’t enough help available to get all of the wanna-bes in) while A&M is playing for better bowl position. The oddsmakers list A&M as a three-point favorite. Gildshire’s Sports Spotlight will take the points and the Tigers because of greater motivation. ESPNSEC televises this game. The Aggies will have their helmets strapped on tight for their game in Boise. Utah State Aggies @ Boise State Broncos from Albertson’s Stadium in Boise. Game time, Saturday 10:15 pm. This one is for all the marbles in the Mountain West Conference’s Mountain Division as the Aggies and Bronc’s square off on the blue turf at Boise State’s Albertson’s Stadium. Utah State barely survived its last game at Fort Collins when the deep underdog Colorado State Rams’ game-winning Hail Mary pass was ruled no good. Boise State hasn’t had such a dramatic end to its season. They have won six in a row since dropping a conference game to San Diego State. The Broncos are a two-point favorite at home, but the Gildshire Sports Spotlight believes Utah State was frightened enough last week to put forth their best effort in this one. We’ll take the points and the Aggies. ESPN televises this game nationally. 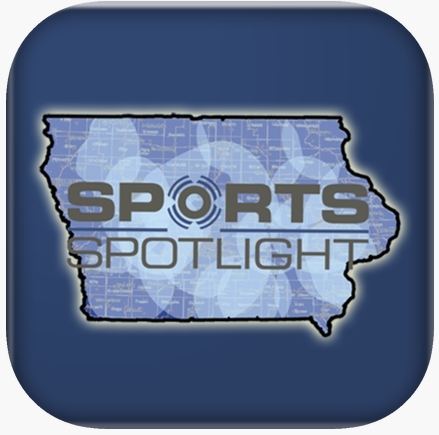 That’s the Gildshire Sports Spotlight for Thanksgiving weekend. Thanks to you for joining us on the Sports Spotlight journey. Have You Considered a Train for your Next Trip?